ccording to a developer by the name of stereomatch on Reddit, Google has added more countries to the Google Play Developer Console. Previously, the countries of China, Cuba, Iran, Macau, Myanmar, and Sudan could not access the Google Play Store, or could not access paid services. The list of countries which can access the Google Play Store has also been updated in their support section. This is interesting to note, as phones in China cannot come preloaded with Google Apps. This has led to users looking for applications to go through unofficial means, which can lead to malware and security issues. Those who do not know about APKMirror may be leaving themselves vulnerable, having to resort to other APK sharing websites. What’s even more interesting is the lack of payment options in the newly launched Google Play Store in China. 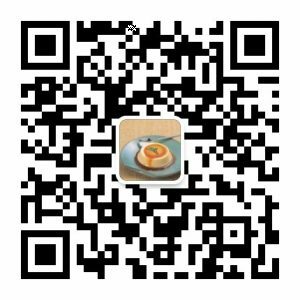 If you look at the support page above (and the Reddit thread), you will see that payments cannot be enabled in China. The screenshots above (from stereomatch’s Google Play Developer Console) show that those releasing their app in China are warned that their application must be free to launch in said country, or else they can’t release it there. This is the same situation in Iran, Myanmar and Sudan. Users cannot see paid applications, nor can they buy in-app purchases if they are available in a free app. Interestingly, residents of Macau seem to be receiving the full Google Play Store experience. They are able to purchase applications and make use of in-app purchases. Overall, this expansion by Google would be a good thing. In these countries, there obviously is a desire for APKs and unofficial application market stores, which can be incredibly unsafe and offer apps injected with adware or malware. With the launch of the Google Play Store in these locations, users should be safer with an official market to download applications from.